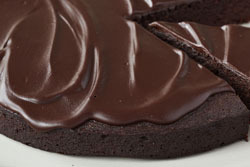 Did you know you could make a chocolate tart in a pressure cooker? 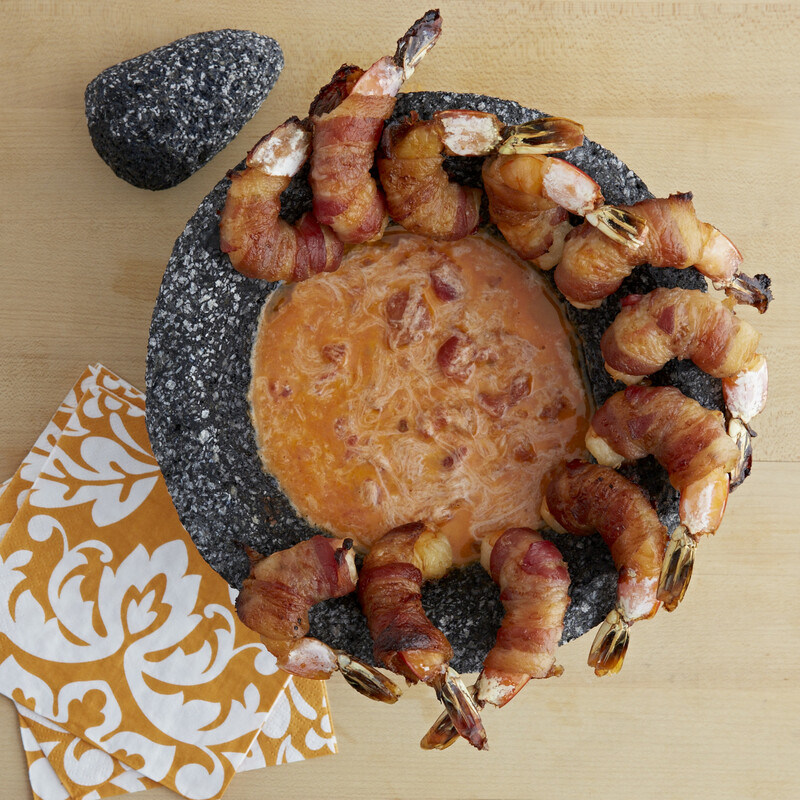 This recipe shows you how! A unique ingredient - cayenne pepper - adds a unique twist to the chocolate that resembles the flavor a Mexican Hot Chocolate! Add melted butter in a medium bowl and whisk in sugar, egg and vanilla extract. In another bowl mix flour, cocoa powder, cayenne pepper, cinnamon and salt. Whisk into wet ingredients until smooth. Add batter into a greased round baking dish that fits into the IMUSA pressure cooker. Place a metal trivet or an upside-down metal steamer basket inside the IMUSA pressure cooker and fill the pressure cooker up with 4 cups of water. Gently place the baking dish on top of trivet. Close the pressure cooker lid and slide blue latch towards you to lock. Set the pressure dial to 2 and place on high heat. When the red security valve pops up, start the timer and cook for 30 minutes. 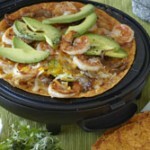 Once the pressure cooker begins to hiss, lower the heat to medium and allow to cook the rest of the time. Once the 30 minutes are over, remove from heat, and release the pressure by turning the pressure release valve all the way to the right. Be careful as the steam will be hot. Once the red valve descends, open the pressure cooker and allow cake to cool for about 5 minutes. Using oven mitts, remove cake and invert it onto a serving plate. If the cake is not flat, place it right-side-up and trim the top so that it’s flat, and re-invert it again. To make glaze, in a small saucepan heat heavy cream until it begins to steam. Pour into a bowl with chocolate and allow to sit for 30 seconds. Whisk in vegetable oil and salt and continue whisking until smooth. Spread about 1cup all over the cake and serve the rest of the glaze as extra sauce for guests. You've never had an ice-cream sundae as delicious as this one -using ripened sweet plantains, chocolate chips, & walnuts! Melt butter in an IMUSA Caldero or stock pot over medium heat, and then add plantain slices. Sprinkle with brown sugar and cook for about 2 minutes before turning them over and cook for 3 minutes. Flip plantains once more and cook for another 2 minutes until caramelized. Be careful not to burn the plantains. Remove the plantains and set aside. Add in heavy cream to IMUSA Caldero or stock pot and whisk until thickened, about 2-3 minutes. Remove from heat, add chocolate and whisk until completely melted. 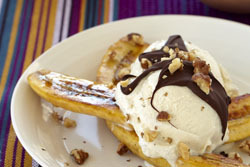 Serve vanilla ice cream between two plantain halves and top with chocolate sauce and walnuts. Serve extra chocolate sauce on the side if desired. 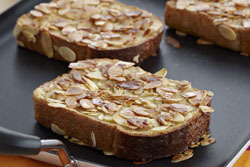 Try Sunday morning brunch with this delicious and unique recipe using almonds for additional crunch and a syrup made with guava! Place almonds in a small IMUSA sauté pan over low heat. Tossing frequently, toast until lightly browned, 5 to 10 minutes. 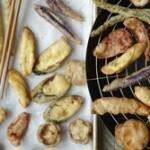 Remove from heat, and set aside. In a large bowl, whisk together eggs, milk, flour, salt, baking powder, almond extract and vanilla extract. Soak bread slices in the mixture until saturated. In a microwave safe container, combine syrup and guava marmalade whisk until combined and warm. This recipe uses the IMUSA Empanada Maker to make a deliciously sweet apple turnover using granny smith apples, cinnamon, and glaze! Combine all ingredients for apple turnover filling together in a large mixing bowl and set aside. Make empanada dough: Mix the first 3 dry ingredients. Cut in the shortening. It is best to use your hands. Add the eggs, milk, sugar, and cinnamon. Continue to work in with your hands until you have a soft dough. Split the dough in half, wrap in plastic wrap, and refrigerate for about 20 to 30 minutes. Take out half the dough and split it into 6 equal balls of dough. On a floured surface, roll out the dough balls into small round circles. Place a circle on each mold of the IMUSA empanada maker. 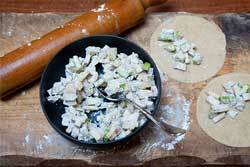 Place a small dollop of apple filling on one half of each of the dough circles. Fold over the dough to cover filling. The empanadas will be sealed with the empanada maker. Brush each empanada with some canned evaporated milk or egg whites, sprinkle with cinnamon and sugar mixture. Preheat the IMUSA empanada maker. Once the green light is on close the lid and bake for 8 to 10 minutes, until golden brown. This delicious recipe uses the IMUSA Empanada Maker to create pumpkin turnovers flavored with cinnamon, cloves, and nutmeg! For Pumpkin Filling: Melt the butter in a medium saucepan over medium heat. Stir in the brown sugar until it dissolves with the butter. Stir in the pumpkin and the spices. Continue to stir over medium heat for about 10 minutes. Make sure the filling is not too watery; otherwise let it cook for a couple more minutes. Remove the saucepan from the heat and let it cool down. After it has cooled off for about 15 minutes, put the filling in the refrigerator to help it set for 30 minutes or overnight. You can make the empanada dough after your filling has chilled: Mix the first 3 dry ingredients. Cut in the shortening. It is best to use your hands. Add the eggs, milk, sugar, and cinnamon. Continue to work in with your hands until you have a soft dough. Split the dough in half, wrap in plastic wrap, and refrigerate for about 20 to 30 minutes. 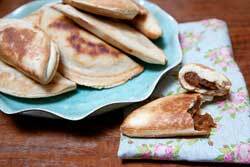 Assemble and bake empanadas: Take out half the dough and split it into 6 equal balls of dough. Place a circle on each mold of the IMUSA empanada maker. Place a small dollop of pumpkin filling on one half of each of the dough circles. Fold over the dough to cover filling. The empanadas will be sealed with the empanada maker. Preheat the IMUSA empanada maker. Once the green light is on close the lid and bake for 8 to10 minutes, until golden brown.